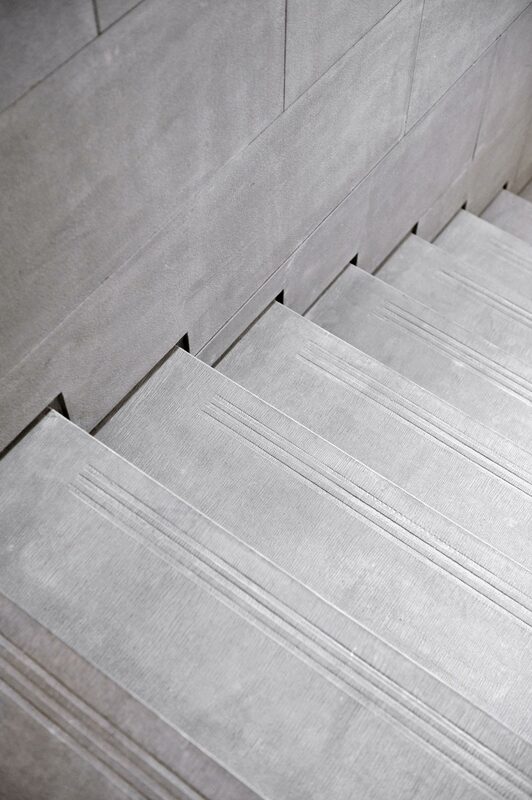 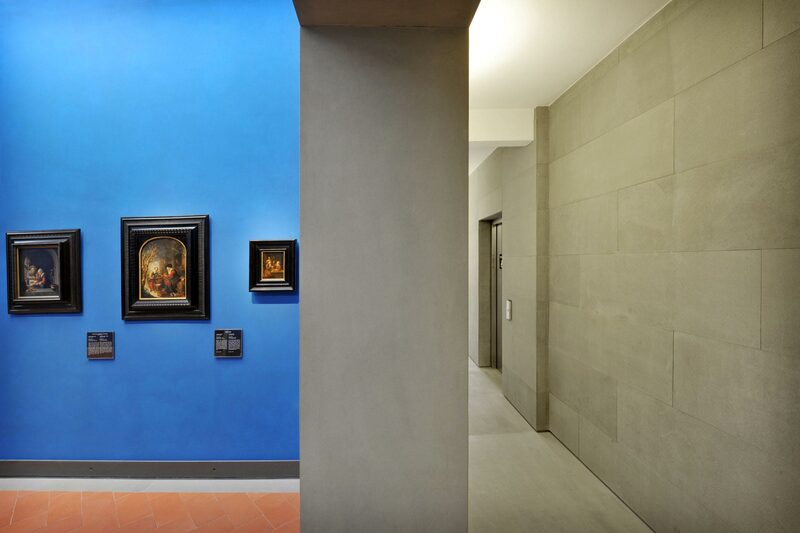 The new expansion of the Uffizi exhibition gallery – designed by Adolfo Natalini – focuses on paths of vertical attraction departing from the ground floor in slabs of local Pietra Forte Fiorentina, hand chiselled. 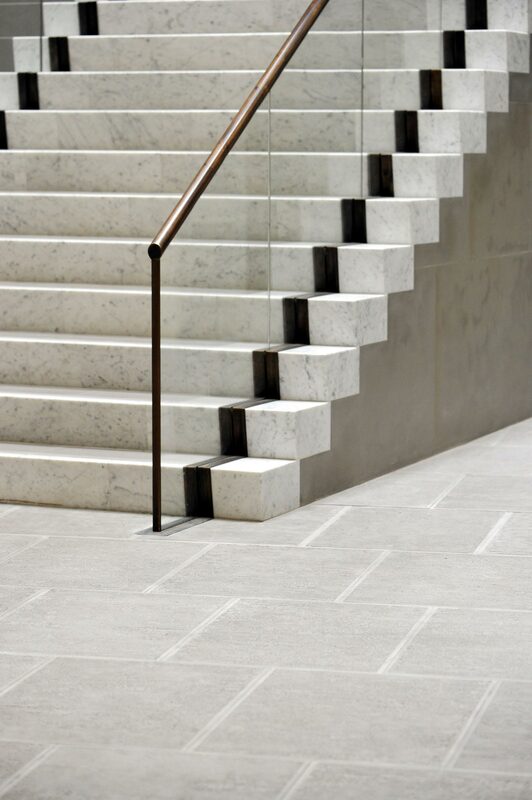 In the main staircase the horizontal blocks become monolithic steps of marble and vertical faces. 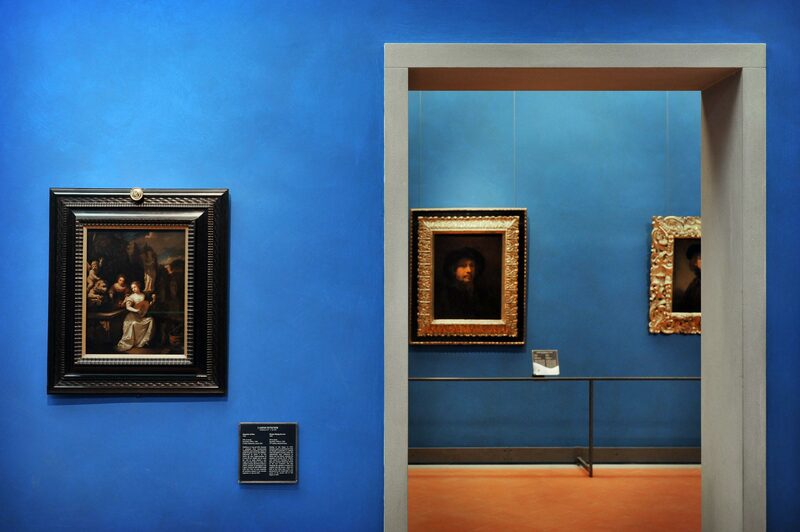 Once the floor has been reached, eight new halls open up to the public, all dedicated to non-Italian painters of the 16th century. 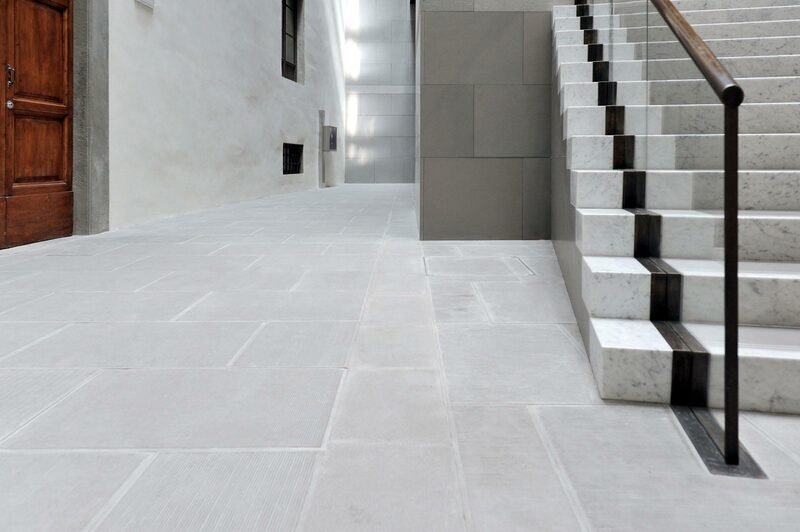 Here, the local stone is used at the perimeter, creating the space where the terracotta tiles are set. 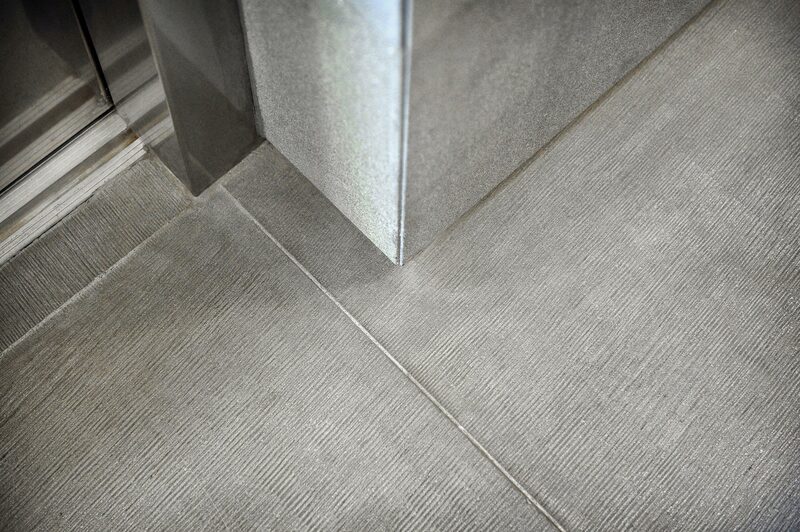 The choice of the grout for the tiles and stone slabs reflects a chromatic coherence: red grouting between the terracotta tiles, grey between the slabs of stone. 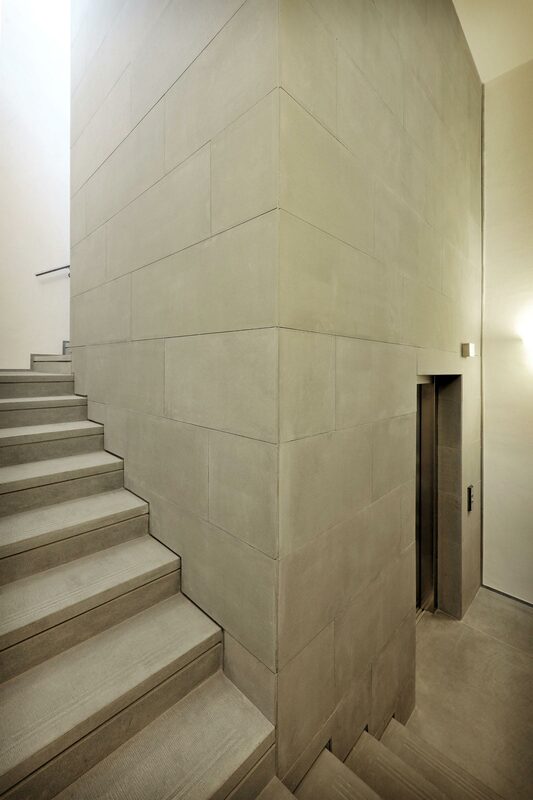 The terracotta breaks up the Vasarian white and grey schemes, those of plaster and pietra serena. 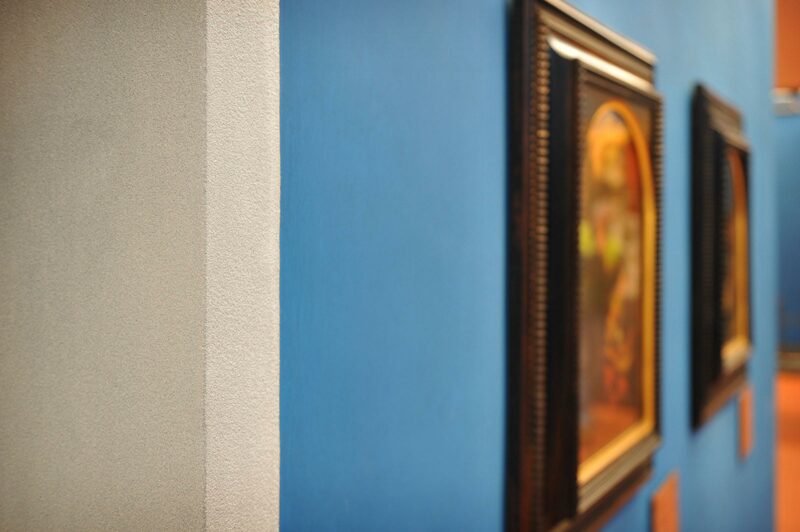 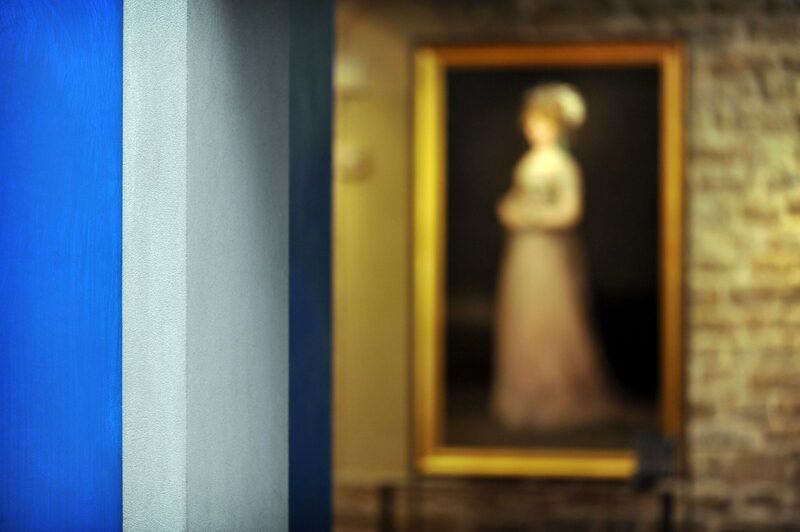 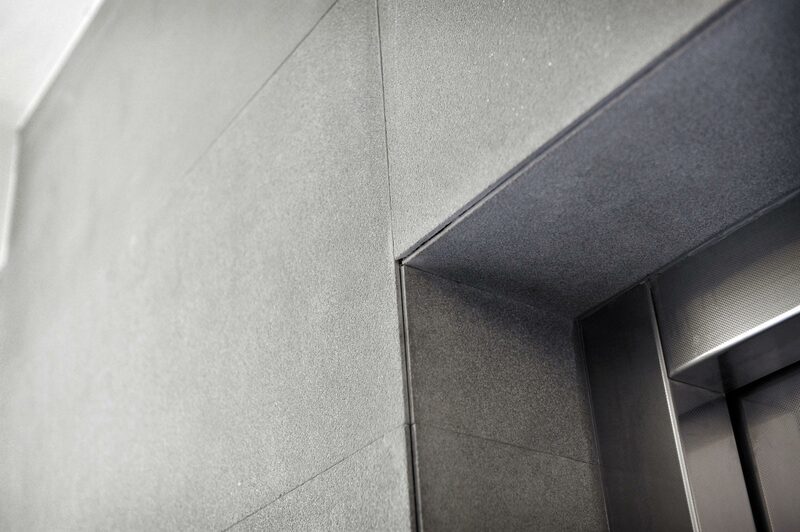 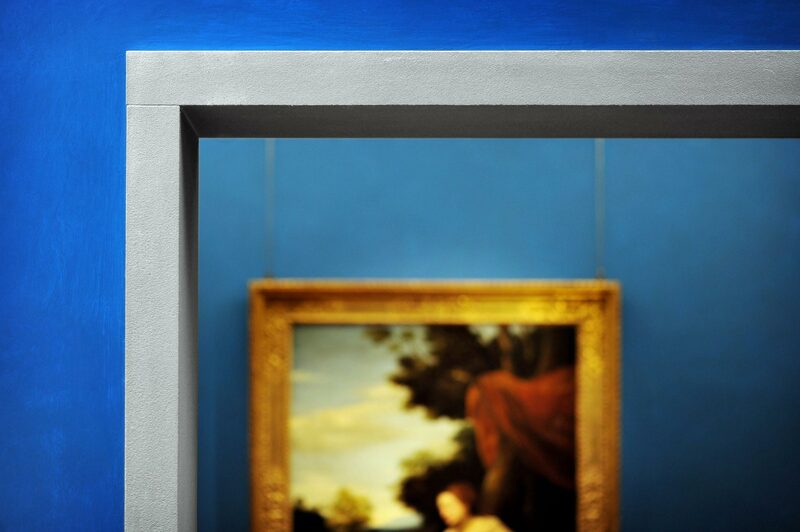 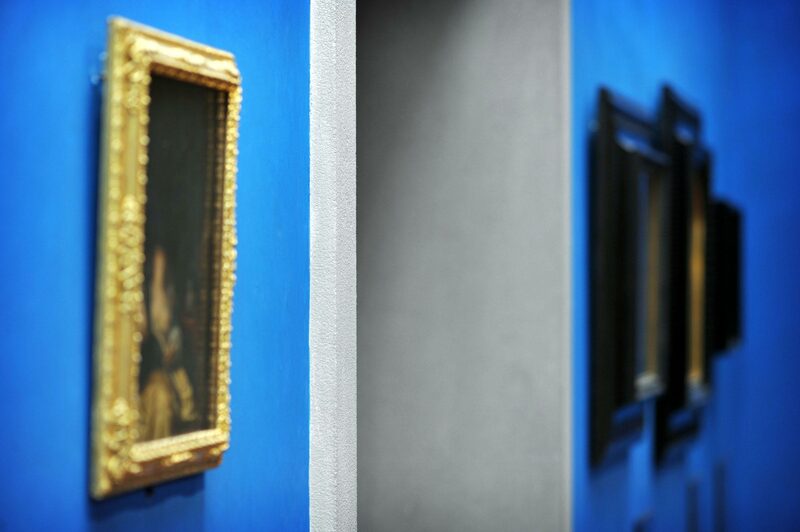 The bright blue of the walls stands out, used as a relief from the banal neutrality that all too often characterises the walls of contemporary art museums, so often colourless.